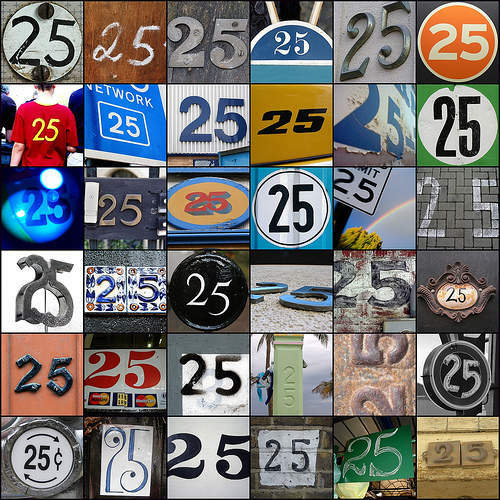 In 2012 Social Epistemology celebrates its 25th anniversary. For this reason, we repost Steve Fuller’s original statement of purpose from 1987. Let’s revisit Social Epistemology’s initial mission after twenty-five years. Editor’s Note: In anticipation of Annual Meeting of the Society for Social Studies of Science (4S) October 17-20, 2012, at the Copenhagen Business School, Frederiksberg, Denmark, and the publication of Social Epistemology 26. 3-4, a special issue on the journal’s 25th anniversary, later this year, please take a look at, and feel free to comment on, Steve Fuller’s original statement of purpose (1987). What is knowledge? During a contemplative mood, philosophers have defined it as truths that are believed for the right sort of reasons. In contrast, the more energetic members of the sciences have taken knowledge to be whatever allows us to control more of the world more reliably. Despite this discrepancy, these accounts are nevertheless about roughly the same thing, a set of texts that are produced so that, when read in the right way, afford human beings a greater understanding of their world. Being as sure as they are about what knowledge is, both the philosophers and the scientists try to come up with ways of increasing the production of these knowledge-bearing texts, usually under the rubric of ‘methodology’. This part of the story is familiar to the practitioners of many disciplines. Social Epistemology is founded, in part, on the idea that much of this story, as it has traditionally been told, seriously misrepresents the nature of our knowledge enterprises. It is one thing to identify something, but quite another to specify the role it plays in the greater scheme of things. Although identifying the primary sources of knowledge — written matter — is easy enough, specifying the exact social function served by this written matter is much more difficult. Unfortunately, philosophers and scientists have traditionally obscured this issue by taking knowledge at face value, in terms of its ‘intended use’, so to speak. For example, a book on Newtonian mechanics is intended to be used as an abstract representation of much of the physical universe. If the book succeeds at its intended use (if it does represent physical reality), then the philosophers and scientists believe that they are well on their way toward their respective definitions of knowledge. And were you to ask them what exactly is the function of knowledge in society, they would simply repeat their definitions. For the philosophers and the scientists operate on the assumption that the function of knowledge in society is merely its intended use writ large. And so, if one book on Newtonian mechanics succeeds at representing the physical universe to one person, then many books in the hands of many people will have the same effect. The only problem with this conclusion is that it commits the fallacy of composition: something is being taken as a property of the ‘whole’ (in this case, a society of readers) simply because it is a property of the ‘part’ (one reader). Once that book on Newtonian mechanics is put in the hands of many different people, each of whom has read many other different books, it is simply bad psychology to expect that this multitude of readers will uniformly use the book as intended. Maybe these books on Newtonian mechanics will succeed at bringing people closer to the nature of physical reality, but maybe not, and maybe (and most likely) they will bring most of the people closer but at the cost of making some other aspect of reality more mysterious than before. In any case, the exact outcome of this situation — how the particular distribution of texts will end up affecting the overall social order — is far from clear. However, for someone interested in social epistemology, this is the real question about the nature of knowledge that all the other questions are trying to pose. The reason why this last remark must seem far from obvious is that our paradigm cases of knowledge are texts, such as Newton’s Principia Mathematica, that have proven effective in various social contexts for long periods of time. Thus, it is quite natural to see a text of this sort as having been authored by someone whose cognitive processes captured some socio-historically invariant piece of reality. But even if this picture were largely correct, the social mechanisms for distributing knowledge do not themselves function in a sufficiently invariant manner to ensure that timeless truths will be transmitted intact. To make a long, and by now well documented, story short, while knowledge distribution is locally constrained, it is not systematically regulated. To take a simple case, teachers can constrain student behavior until it is ‘disciplined’ to their liking, but the discipline itself does not have someone at the top who constrains the teachers in a similar manner, and certainly there is no ‘Cognitive Tsar’ who, at the very top, co-ordinates the activities of all the disciplines. What results from this lack of centralization, then, is a cluster of incommensurable research communities, the existence of which philosophers and scientists have been feverishly trying to deny since Kuhn first discovered them. For our purposes, the interesting conclusion is that if Principia Mathematica, say, appears to contain timeless truths, then it cannot be due to the fact that Newton’s work really does contain such truths (even if it does), but rather it must be due to social mechanisms that cause its various readers to ignore the local differences in how they were taught to understand and apply the text. The formats of Social Epistemology afford many opportunities for these local differences to be recovered. Let us start with the ‘critical syntheses’, examples of which are to be found in the first three pieces of the inaugural issue. The topics of these pieces cover a wide range, from the naturalistic to the humanistic ends of the social epistemology spectrum. Likewise, a variety of approaches are represented, any of which may serve as models for subsequent contributors. The piece on human-computer interaction is a collaborative effort by a worker in the field (Chris Fields) and a philosophical onlooker (Stephen Downes), combined with some editorial supervision. Fields gives a comprehensive yet distinctive slant on how research in this area has developed, its progressive and regressive trends, with an eye to how his own work fits in this overall development. The approach illustrates one of the desirable qualities in a critical synthesis, namely, that the author represents his/her area not merely as a stockpile of facts and theories, but as a collective process that is heading in a certain direction – perhaps even a direction that, for the moment at least, appears much clearer to the author than to his/her fellow workers. Moreover, we hope that this approach will move others to challenge that author’s sense of where history is going, either by submitting a ‘provocation’ or — for the truly ambitious — by writing an ‘alternative’ critical synthesis that gets the telos straight. In any case, one cannot emphasize too much the self-fulfilling character that histories of a field have had in directing subsequent research. In contrast, Downes has approached the journal literature on human-computer interaction research in the manner of an ‘ethnographer’, that is to say, as someone who describes an alien culture by capitalizing on his/her conceptual differences from the natives. These differences allow the ethnographer to uncover presuppositions that the natives would have normally taken for granted unless an outsider brought them to light. However, the fact that the author in this case happens to be a philosopher should not force the conclusion that ‘ethnography’ is a codeword for the foundational projects that epistemologists and philosophers of science have traditionally considered their privileged domain. Indeed, were the author, say, an economist, he or she could have surveyed the same literature and arrived at perhaps quite a different set of presuppositions, reflecting the particular conceptual differences between economics and this computer science specialty. And needless to say, an interesting response by the researcher in human-computer interaction would be to do an ethnography of the literature generated by recent philosophy of the mind. Hopefully, Downes’ approach will remove some of the more unsavory connotations of ‘interdisciplinary research’, especially the frequent perception that it reduces the participating disciplines to their ‘lowest common denominator’. The ethnographic model decisively counters this view by showing that before disciplinary boundaries can be intelligently penetrated and dissolved, they must first be recognized. The critical synthesis on the institutionalization of science is written by a political scientist (Harry Redner), more in the traditional narrative format of history than Fields’ piece, and, seemingly, without Fields’ explicit sense of teleology. However, Redner has a different sort of aim in view, namely, to show how the ‘multiversity’ environment in which most research is currently conducted masks its true identity as ‘an academic hotel for transient grant-holders’ by drawing on symbols left over from the university’s more idyllic past. We see then a clear role for the critical synthesis in demystifying the ideological content of a field whose appearances have yet to catch up with its changing reality. Something like demystification also occurs in the last critical synthesis, authored by the philosopher and intellectual historian, Eugene Garver. But perhaps a better way of seeing this piece is as providing the ‘constructive’ side of the currently fashionable critical movement known as ‘deconstruction’. The author is trying to tackle why Machiavelli is such a difficult figure to accommodate in the Western philosophical tradition. His general strategy is to trace Machiavelli’s marginality to the predominance of science over politics as the paradigmatic rational activity, a trend that can already be detected in the classical world. Garver then shows how this suppression of political rationality has had the effect of both making politics seem inherently ‘unruly’ and making philosophical theories ill suited to cope with ordinary senses of ‘rationality’, most of which involve prudential consideration. In the next issue, we shall complement Garver’s piece with another critical synthesis aimed at recent attempts to bring political rationality, Aristotle’s phronesis, back into the intellectual spotlight. In addition to the critical syntheses, we hope to present in nearly every issue an interview with someone whose current line of research bridges several disciplinary boundaries. We hope to do this not only because research of this kind tends to interest a broad audience, but more importantly, because it provides a case study in how one goes about recognizing and negotiating the boundaries between disciplines for purposes of developing a more integrated view of knowledge production. The interviewee for this issue, Marc De Mey, was trained as a philosopher and cognitive psychologist, and has in recent years offered the first sustained attempt to systematize the history, philosophy, psychology, and sociology of science under one paradigm, which derives its theoretical underpinnings from artificial intelligence research. The dialectical and participatory character of this journal is perhaps most acutely evident in its shorter features, especially, book reviews to which the author provides a response, and ‘provocations’. The provocation in this issue already extends to four parts, and may continue ad infinitum, if readers wish to participate. Readers are also very much invited to submit new provocations. We only ask that they be kept quite short, controversial, and of potential interdisciplinary import. The other formats not featured in this issue are described on the inside back cover. In particular, readers should draw their attention to the ‘Call For Commentators and Collaborators’ at the end of this issue. The locus classicus of this insight is KUHN, T. The Structure of Scientific Revolutions, University of Chicago Press, Chicago (1962), chapter 10. The philosophical implications of this view are developed in FULLER, S. Knowledge Disciplinized: The Foundations of Social Epistemology, D. Reidel, Dordrecht (1987). If there is virtually no editorial supervision (aside from stylistic matters) on a piece, its writer is called an ‘author’. Otherwise, the person is called ‘principal collaborator’ or simply ‘collaborator’, depending on the amount of supervision required. The models of this sort of activity are LATOUR, B. and WOOLGAR, S. Laboratory Life: The Social Construction of Scientific Facts, Sage, Beverly Hills (1979); KNORR-CETINA, K. The Manufacture of Knowledge, Pergamon,Oxford (1981). “On re-reading the journal’s original statement of purpose, I am struck by Steve Fuller’s prescient emphasis on the increasing production and variability of “knowledge-bearing texts”. For Fuller, these texts (Newton’s Principia Mathematica provides the central example) convey powerful abstract representations of physical reality. As such, the ‘intended use’ of these texts remains not only capturing knowledge in a certain instance, but also distributing knowledge in way to be properly and broadly realized. The social realization of knowledge, then, becomes an exercise in properly reproducing and refining knowledge-bearing texts among many people. Of course, among many people reside many local differences, local differences in, among other things, approaching and interpreting texts. How readers learn to ignore, or actively suppress, local differences (perhaps in disciplines) and how these differences can and ought to be recovered — such is Social Epistemology’s purpose.